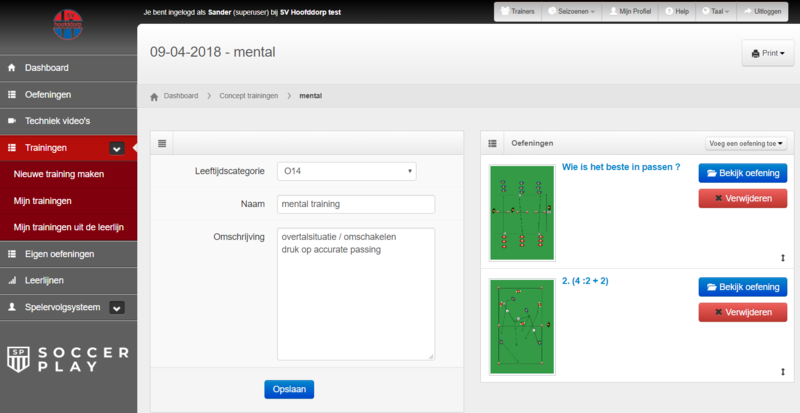 You can develop your own Learning path with the individual subscription of SoccerPLAY or use the training data of SoccerPLAY ! Use all age-specific exercises of SoccerPLAY, use the animation drawing tool or watch the technical videos. Creating training sessions has never been easier. In addition to create your own Learning path, it is also possible to assess matches of your team(s) in the Player tracking tool. 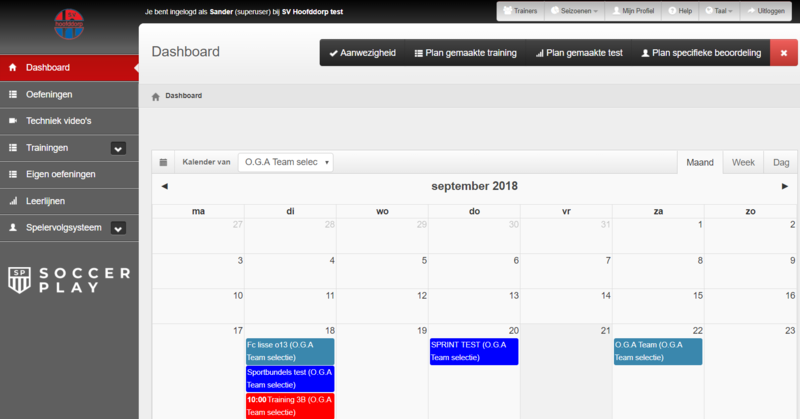 Create your training and plan it in the Dashboard. 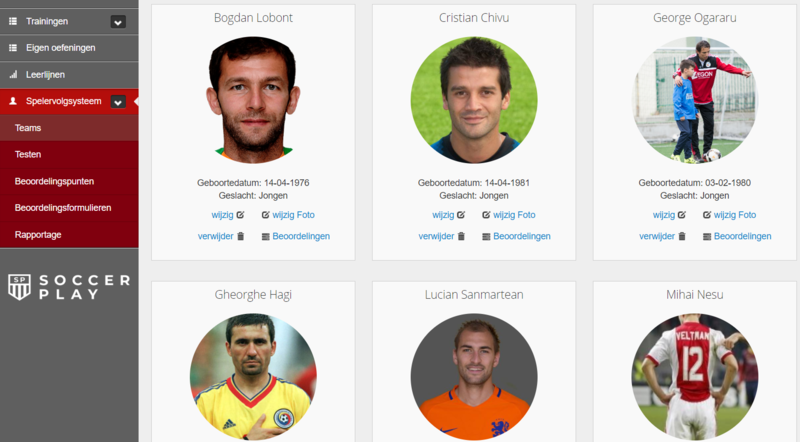 From the Dashboard you also enter the presencelist of the players of your team. Create a ‘Assessment’, plan it on a date and rate your players individually. Use the drawing tool if you want to animate an exercise. These sessions always remain in your database. Creating a training is very simple. 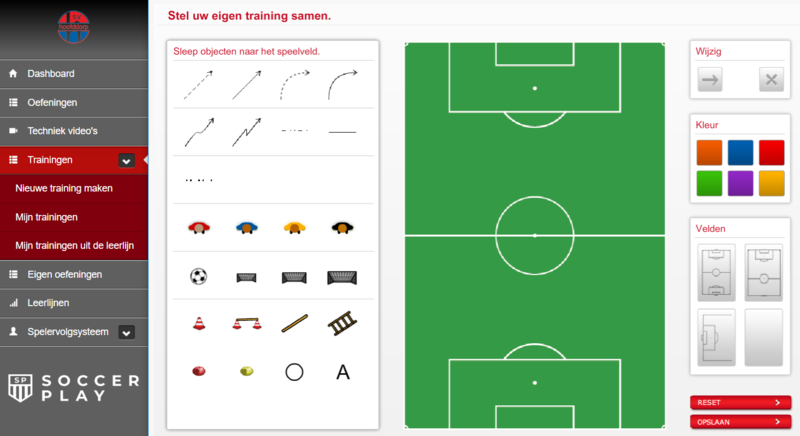 Choose an exercise from the SoccerPLAY database, choose a custom made exercise, or create an exercise yourself from the animation tool. In the individual subscription you have your own Team in the Player tracking system. Evaluate/rate your players individually at each position. You can print a report from each player at the end of each season. Discuss these results with the players and the parents.